Systems specifically designed for water use close-tolerance parts and erosion-resistant materials to minimize leakage. 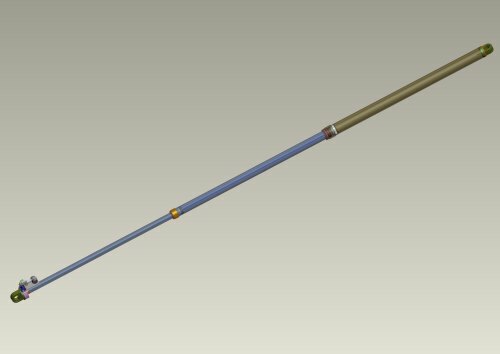 Components have been engineered to minimize internal leakage by reducing component clearances and wear. We have engineered Cylinders used in Nuclear Power Plants. Telescopic cylinders can be built with as many as 6 stages. 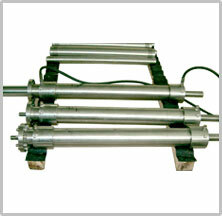 Telescopic cylinders require careful design as they are subjected to large side forces especially at full extension. The weight of the steel bodies and the hydraulic oil contained within the actuator create moment loads on the bearing surfaces between stages. These forces, combined with the load being pushed, threaten to bind or even buckle the telescopic assembly. Sufficient bearing surfaces is incorporated in the design of the actuator to prevent failure in service due to side forces. We manufacture rotary swivels with upto 14 ports. 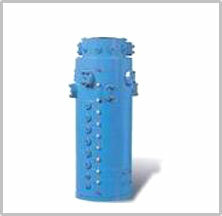 These are used in Mobile cranes and steel plants.